Picture the first day of class for a group of first year medical students. The classroom brims with excitement as students anticipate learning the fundamentals of healing. The students’ overarching goal is incredibly noble: leverage their intellect to save lives. But years pass and the goal fuzzes as the reality of practicing medicine sets in. The once abundant enthusiasm for providing the best patient care possible is downtrodden by business realities such as reimbursement rates, security concerns, regulatory structures and political landmines. We at pMD hear over and over “this isn’t how medicine should be.” Truly, we agree. Well, we have good news and bad news. The good news is that more and more stakeholders agree that quality of care needs to be prioritized over “the business of medicine.” The bad news is that no one yet understands exactly how to achieve this goal. With the aim of prioritizing patient quality of care, lawmakers have released convoluted and frustrating programs such as Meaningful Use, PQRS, Maintenance of Certification, and CAHPS. These programs have noble goals, but they often make little sense in the real world of practicing medicine. Luckily, these programs are not static, but continue to evolve and adapt each year, inching health care closer and closer to a system that is solely motivated by patient quality of care. One program that continues to evolve is PQRS, or the Physician Quality Reporting Service. As my colleague Elise explained in an earlier blog, successful participation in PQRS involves reporting quality measures about patient treatment. There are a variety of ways to report these measures, and one of the newest is via a QCDR. A QCDR, or a Qualified Clinical Data Registry, is an entity that collects quality measures data and can report to CMS to satisfy PQRS requirements on behalf of its members. 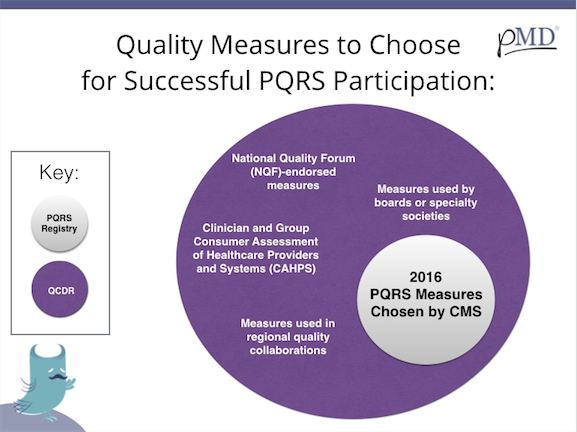 CMS, the federal agency that runs PQRS, sanctioned QCDRs as an official PQRS reporting method in 2014. The concept is similar to a PQRS registry, with a few notable exceptions - described below - that allow a QCDR to become a broader, more relevant quality database. QCDRs that report quality measures to CMS are required to be certified by CMS, and the list of 2015 CMS certified QCDRs can be found here. What are the differences between a QCDR and a PQRS Registry? A QCDR is essentially an evolved PQRS registry. Participants are able to satisfy the requirements for PQRS participation by using broader, more relevant and more accurate data. A few key differences allow a QCDR to be an easier mechanism for PQRS reporting, which makes the QCDR data set more useful for participants. Second, a QCDR collects and reports information about an entire population – not just Medicare patients. Collecting quality measures across an entire patient population again results in more accurate and relevant quality data. Third and fourth, QCDRs do not have to include a cross-cutting measure, and they are not subject to MAV, or Measure-Applicability Validation. This makes it is easier for providers to successfully participate in PQRS because there is less red tape to trip over. Finally, the data reported via a QCDR can, in certain situations, be carried over to other CMS quality programs, such as Meaningful Use and Maintenance of Certification. This intentional overlap facilitates providers' participation in multiple quality based programs. QCDRs certainly aren't a magic solution that will solve the systemic issues in health care, but they appear to be a step in the right direction. We at pMD carefully watch the evolution of these programs in order to provide powerful solutions for our customers as the seismic shift to quality-based medicine develops. For many of our current customers - charge capture, secure messaging, care coordination, and otherwise - we are a trusted partner in both implementing new ideas and navigating new regulations. 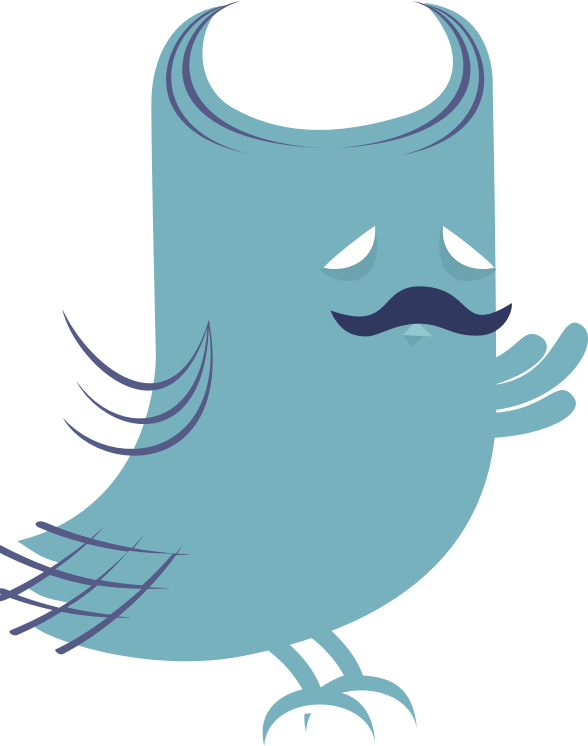 If you have any thoughts on how pMD can better assist your practice in doing so, please let us know!